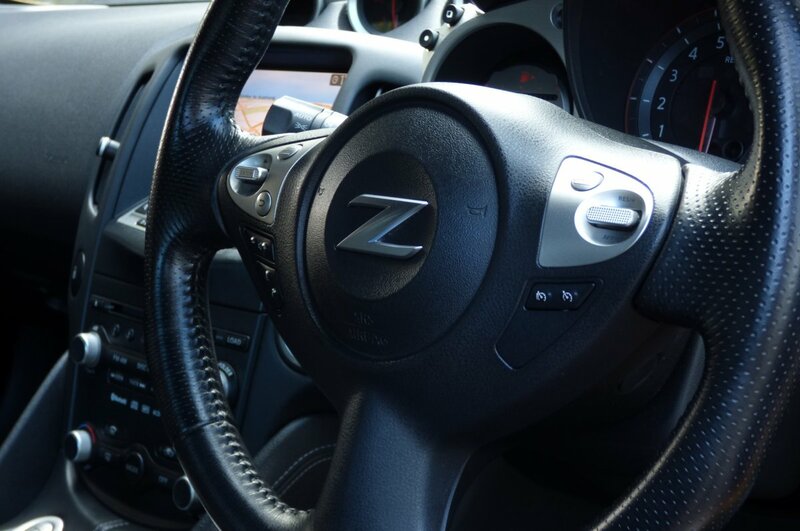 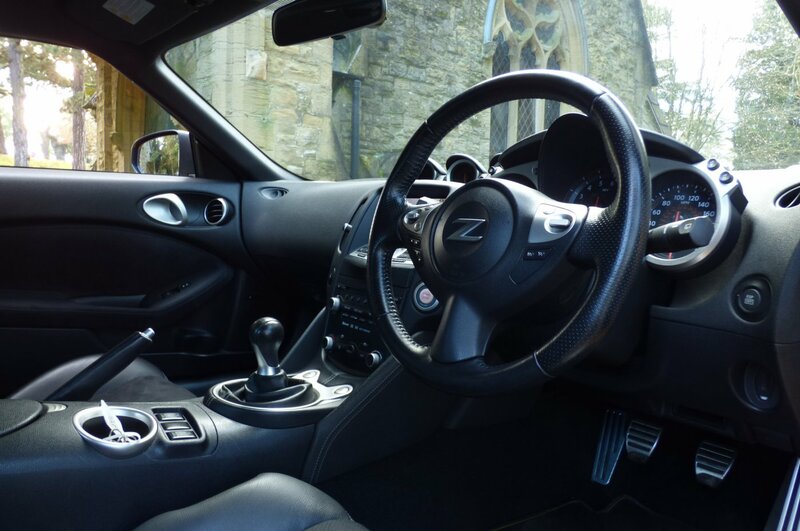 The Nissan 370z Was First Announced On The 29th Of October 2006, With The First Official Showcasing Of The Car To Eager Buyers And The Motoring Press At The 2008 LA International Motor Show, With This Brand New Offering To Replace The Highly Successful Previous Modelled Nissan 350z. 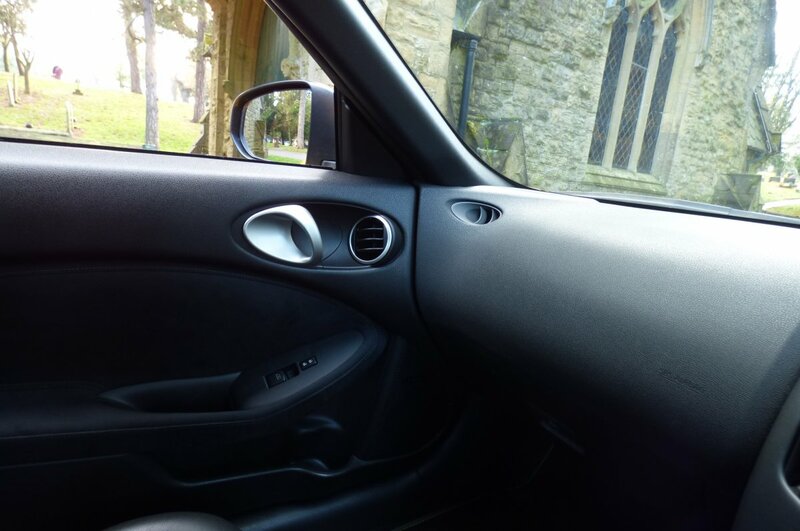 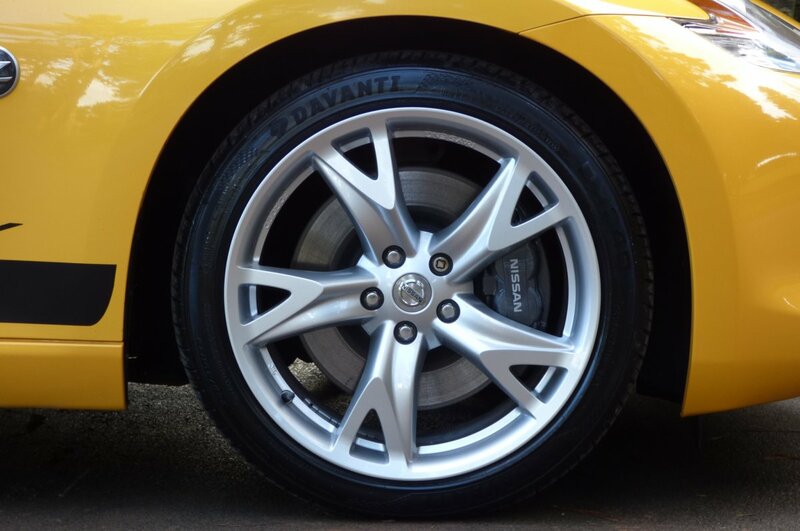 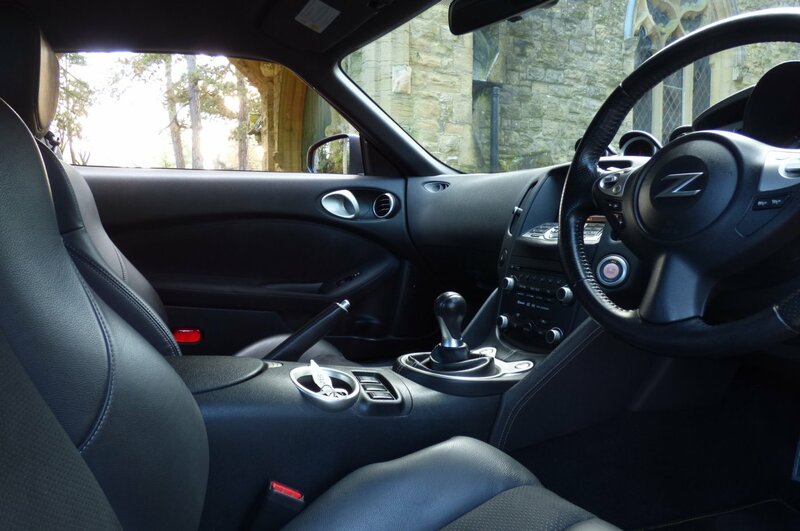 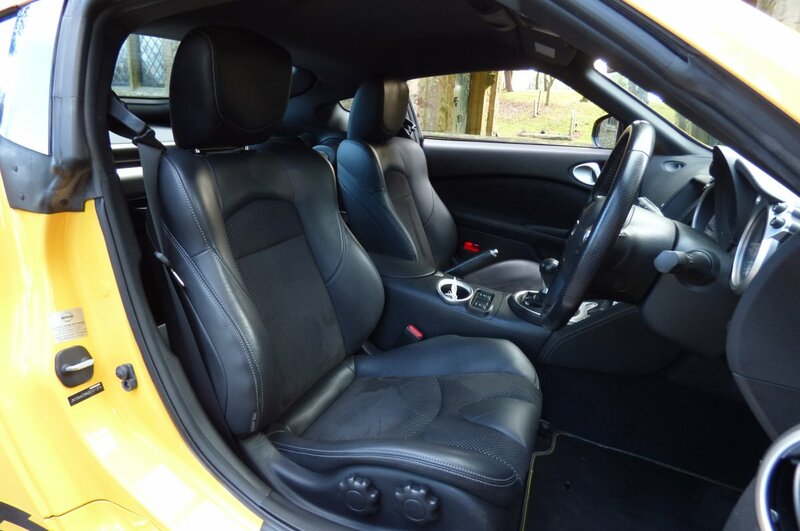 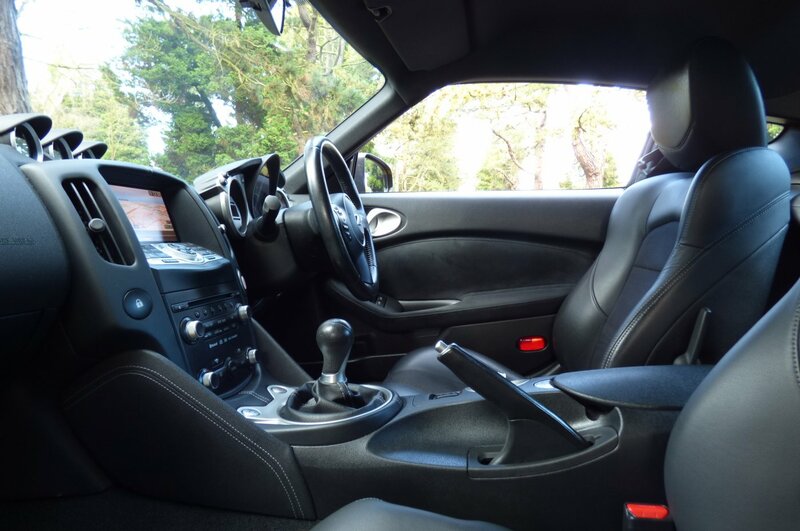 The Car Offered Everything From Dramatic Aggressive Exterior Styling, Up To Date World Class Technology, An Interior Finished With Exciting And Interesting Detailing And A Capable Two Seat All Out Sports Vehicle, That Would Please The Purist Of Drivers And Would Be Able To Handle Of Manners Of Driving Conditions. 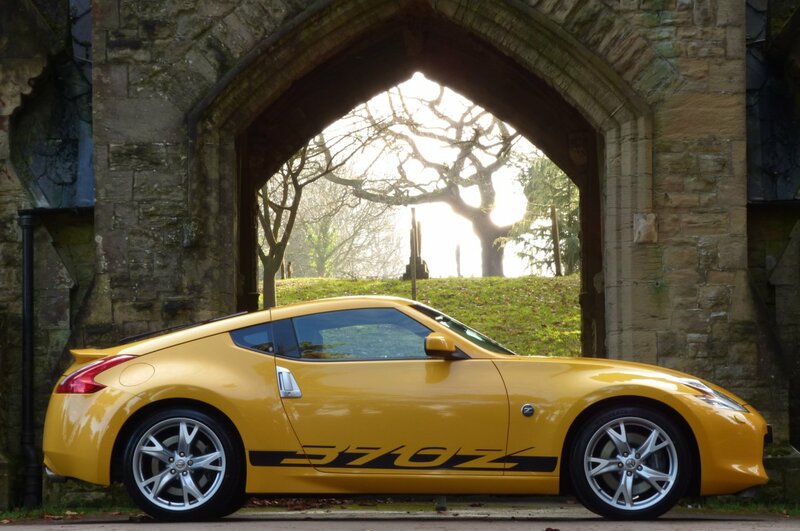 The Whole Introduction On The Design And Technical Development From The Factory Put Nissan Firmly Back To An Interesting Proposition To New And Old Clients To This Japanese Car Brand, But At The Same Time The Manufacturer Never Lost Sight Of Past Glorious Days Of The Now Infamous Datsun 240z, Which Had Set The Bench Mark All Those Many Years Ago. 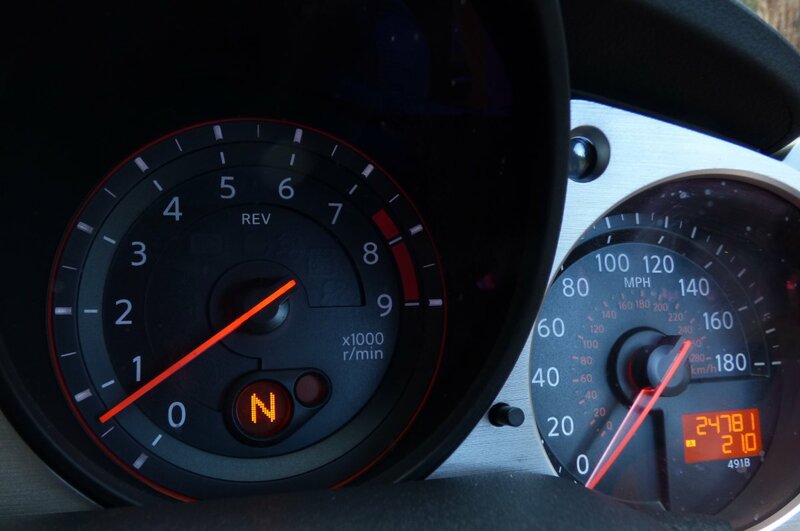 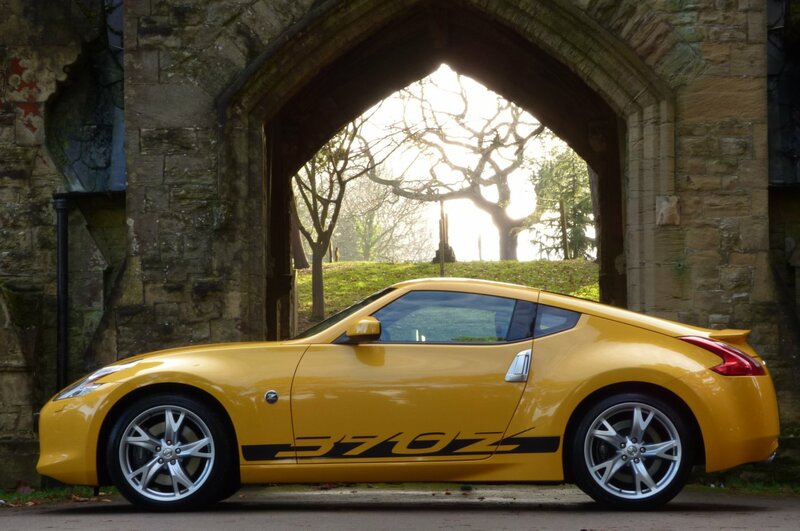 The 370z Definitely Delivered On All Counts With The Factory Introducing A Three Point Severn Litre V6 Engine Which Would Generate A Rather Healthy 337 Brake Horse Power, That Would Accelerate From 0-62 MPH In Just 4.7 Seconds, Would Complete A Quarter Mile In 13.6 Seconds At 108 MPH And Would Climb Further To An Electrically Limited Top Speed Of 155 MPH. 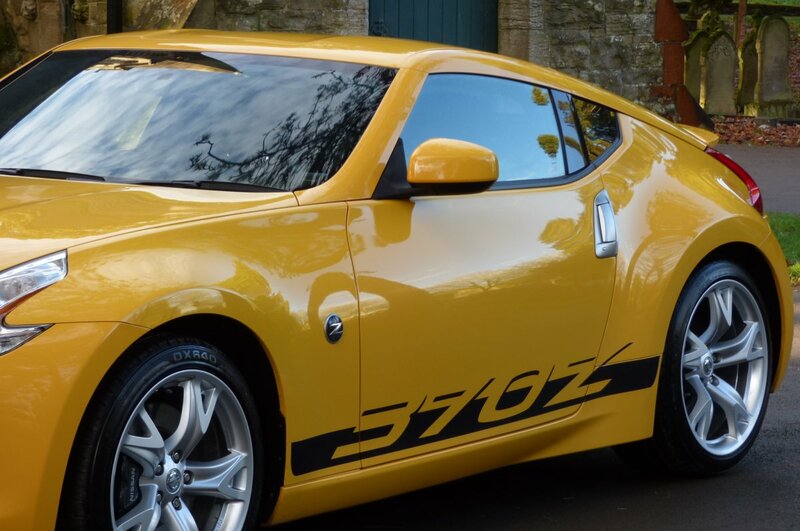 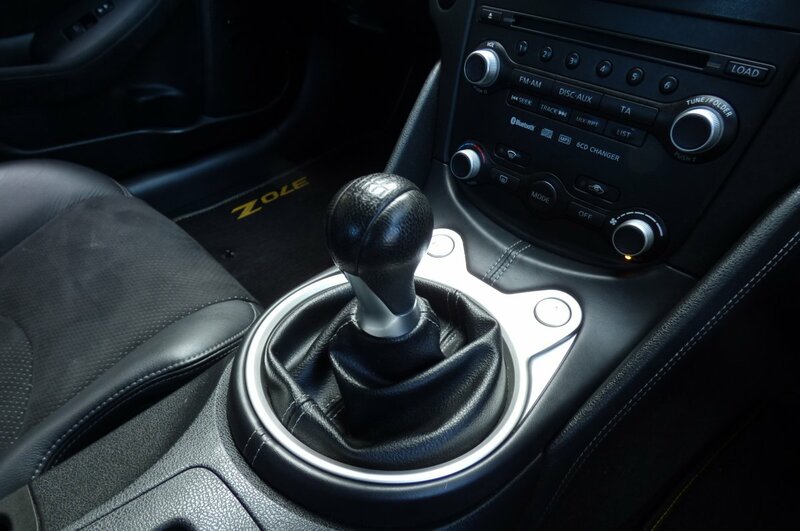 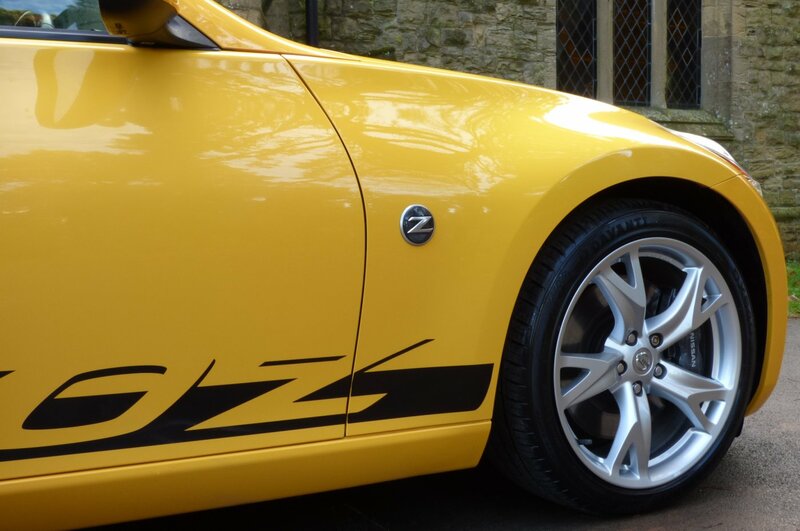 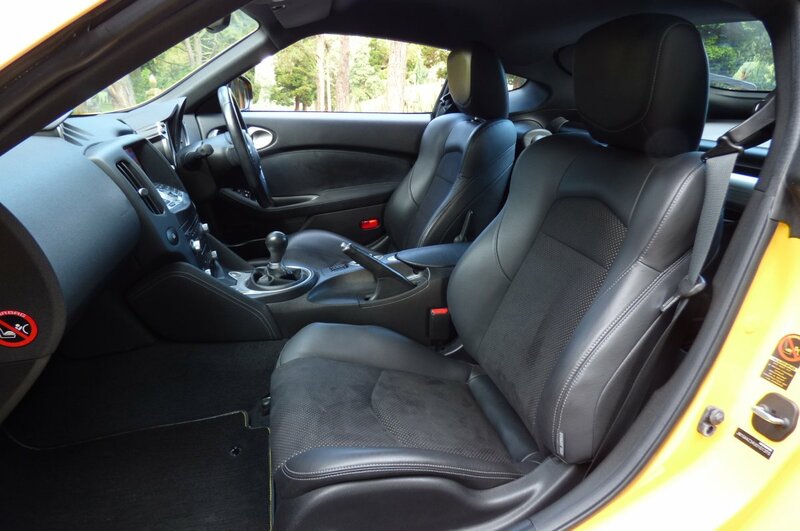 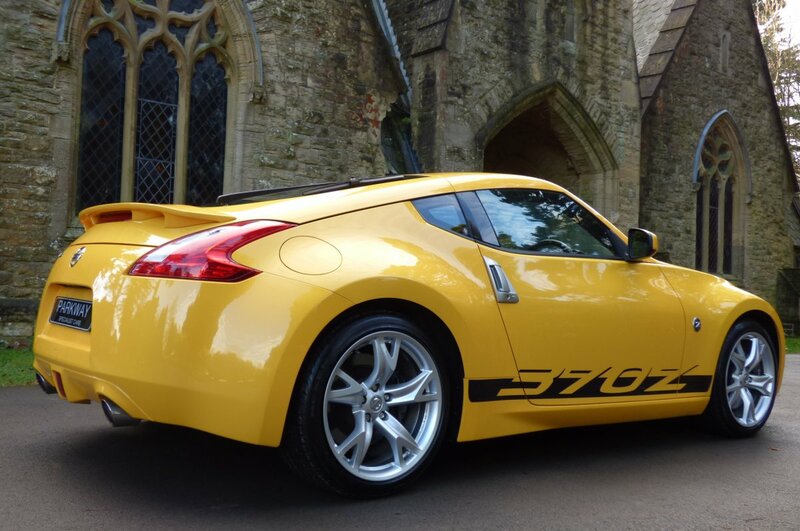 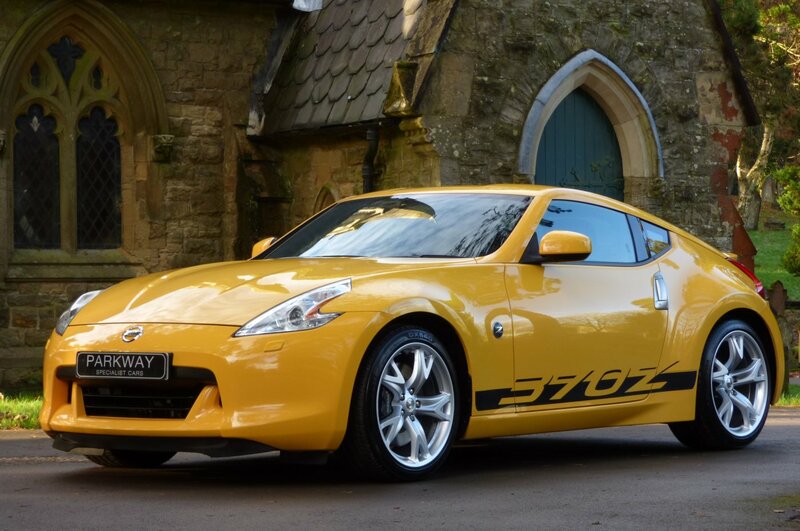 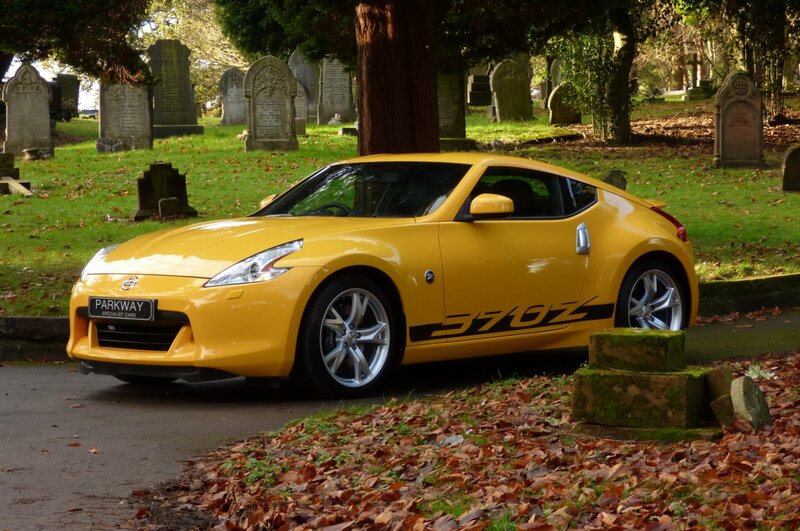 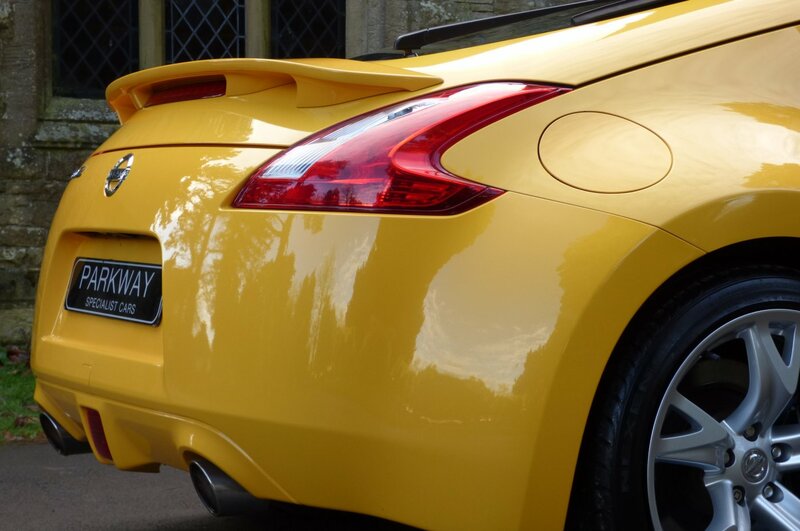 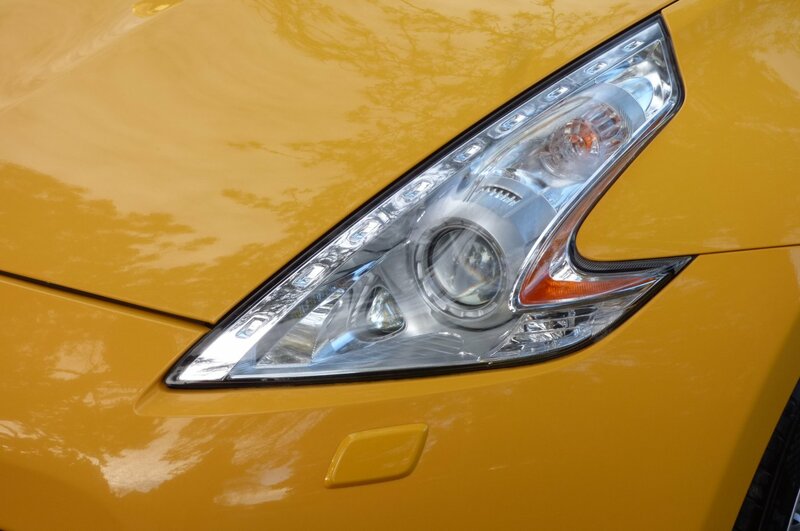 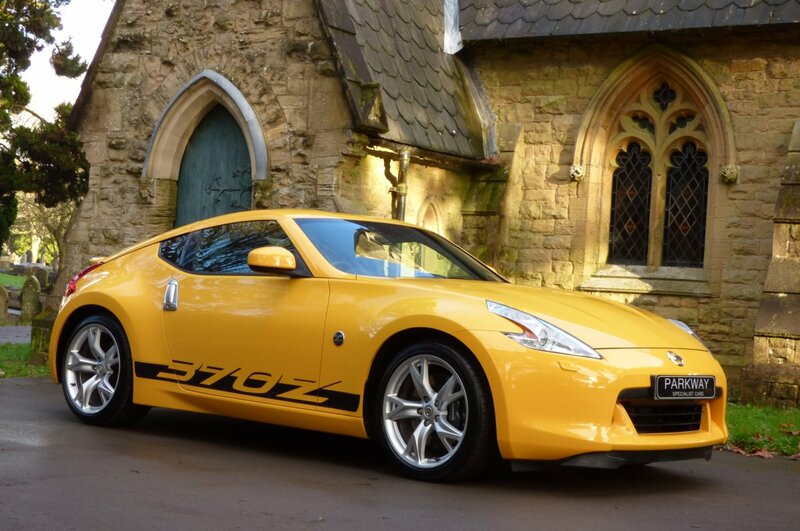 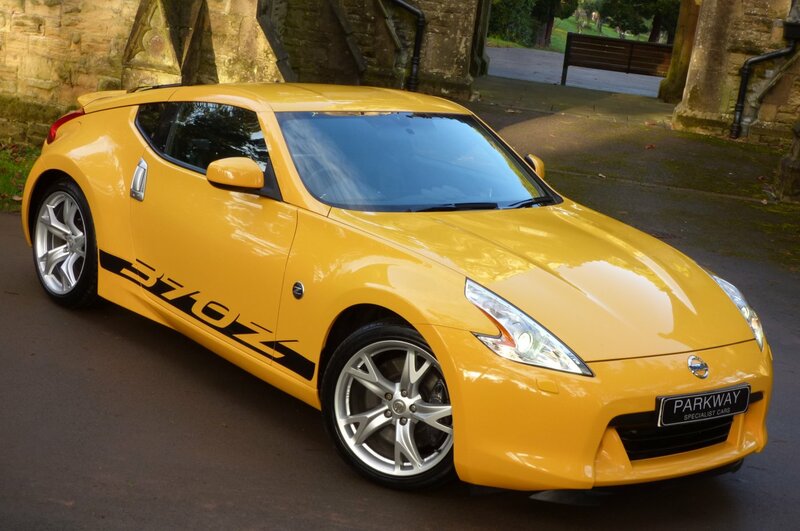 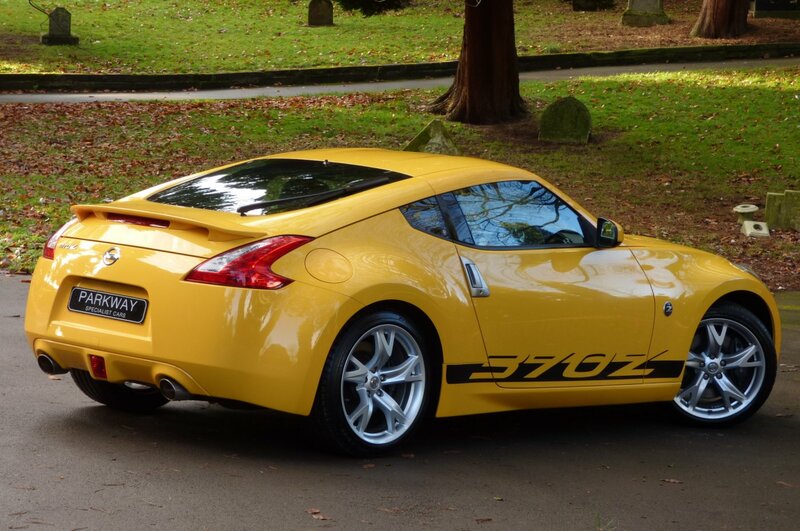 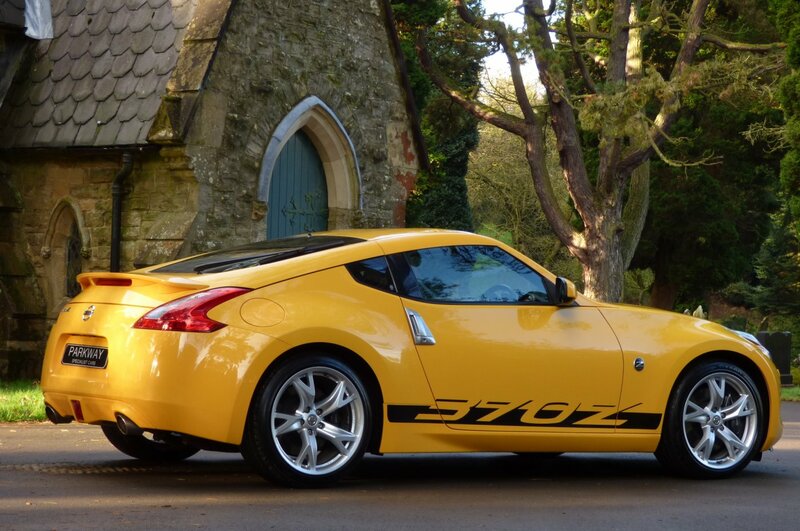 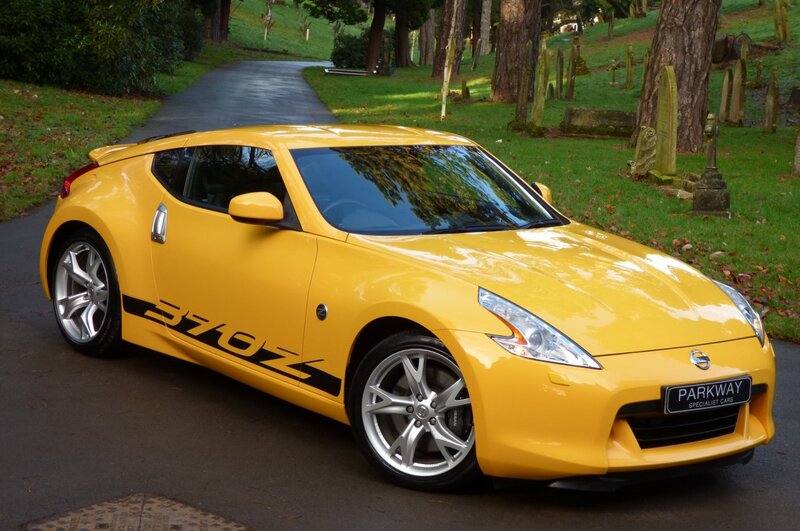 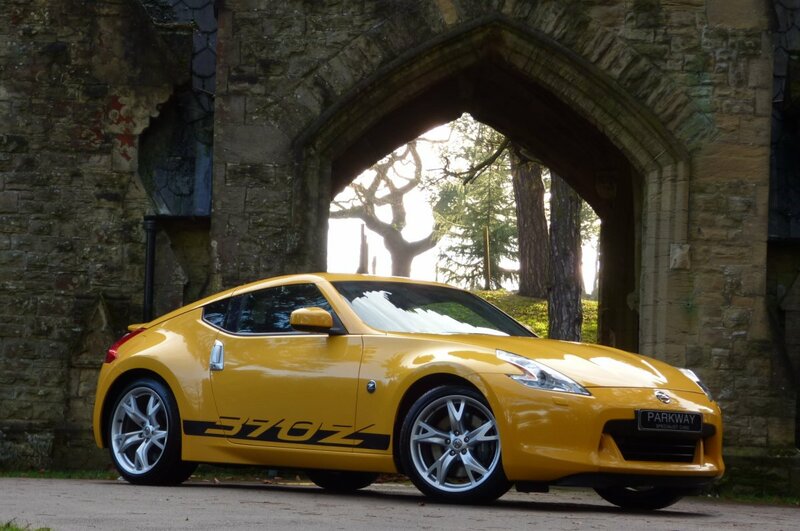 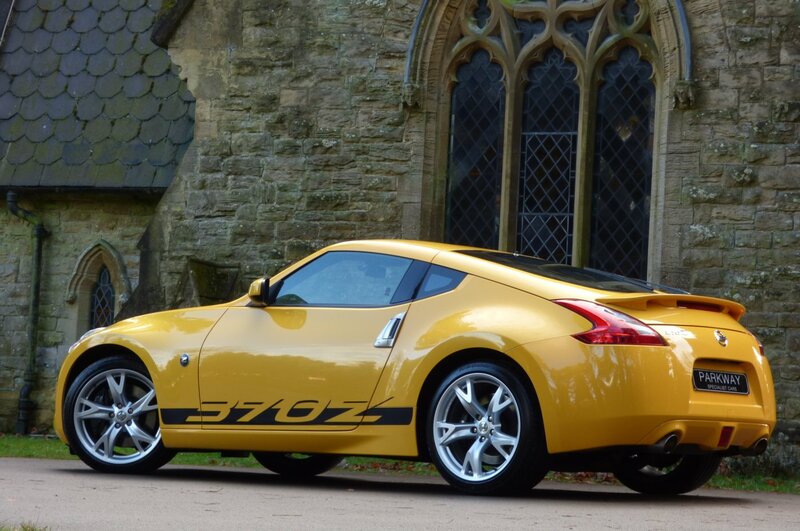 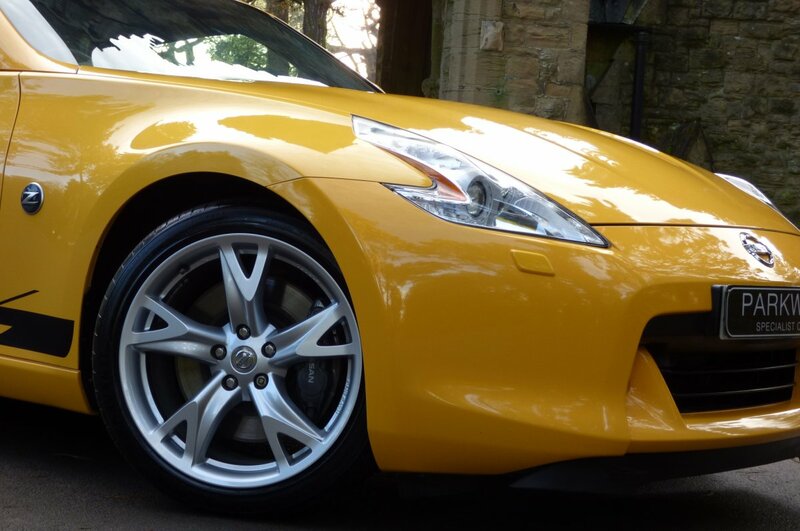 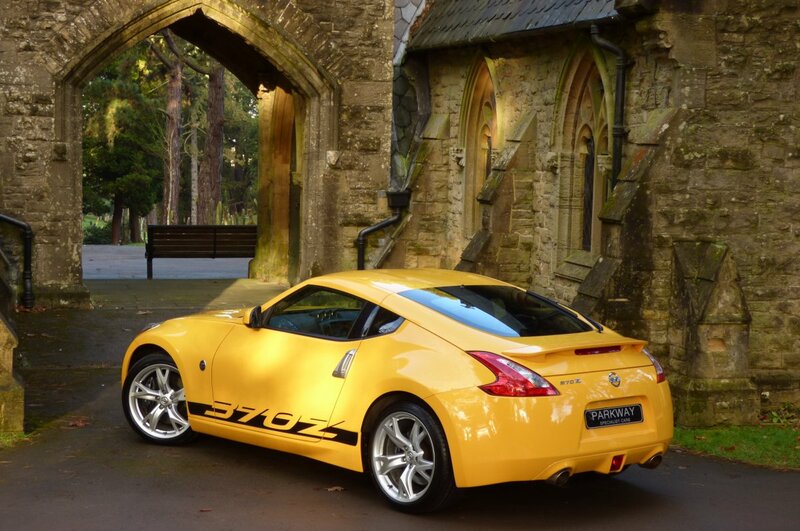 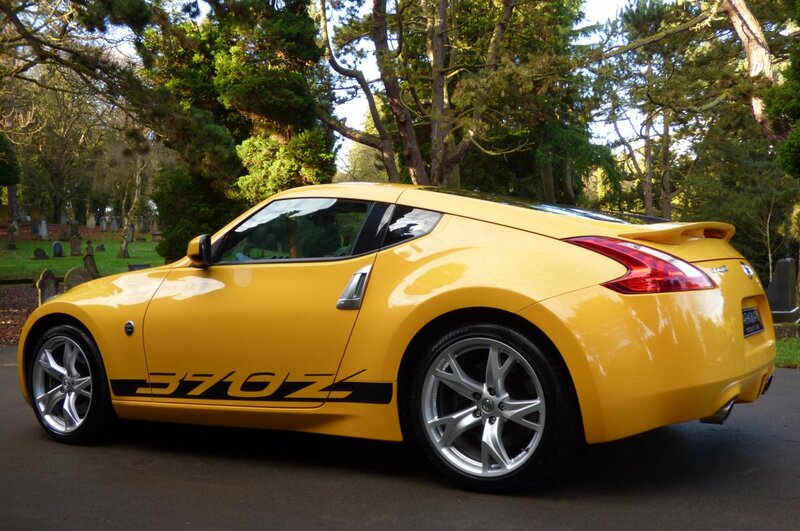 During The Years Nissan Would Further Improve Their Dealership Sales With Various Limited Edition Vehicles And With The Nissan 370z Yellow Edition Offering, This Gave New Buyers An Opportunity To Buy A Vehicle That Took Its Main DNA From The Past GT4 Series. 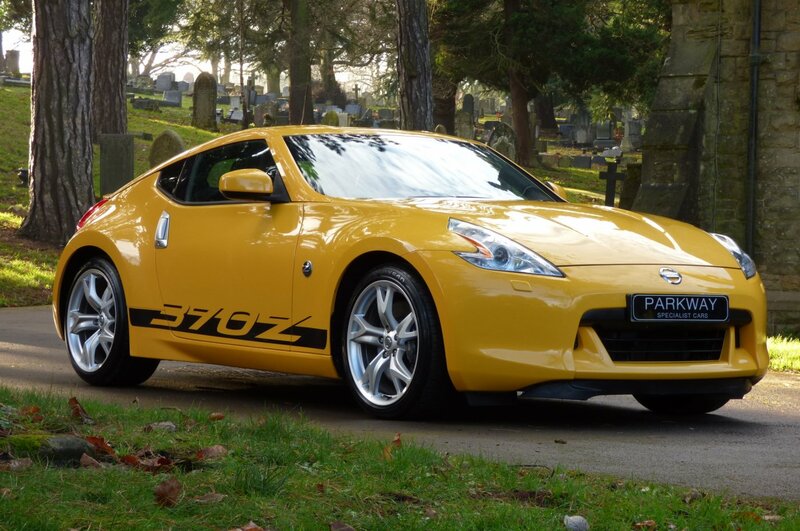 This Lovely Now Rare Example Was First Supplied By West Way Nissan In The December Of 2009 And Since This Date The Car Has Only Had The Two Private Keepers Applied Since The Date Of First Registration, Which Is Now Viewed As Being Remarkably Rare To Find. 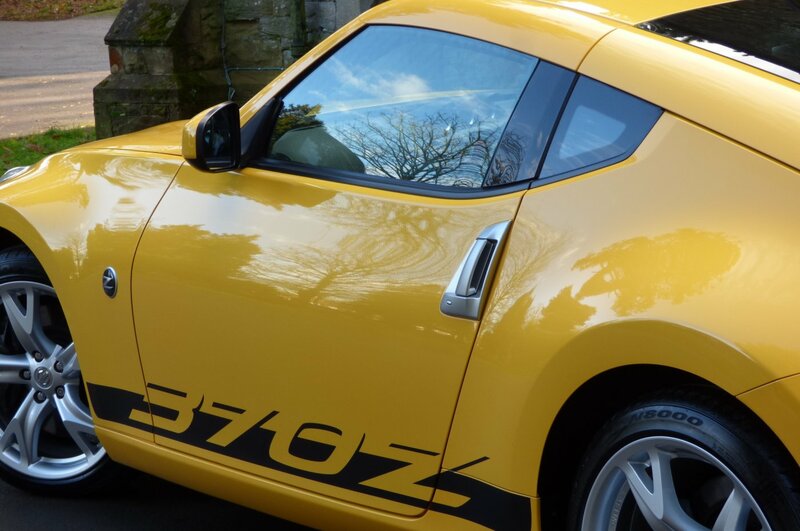 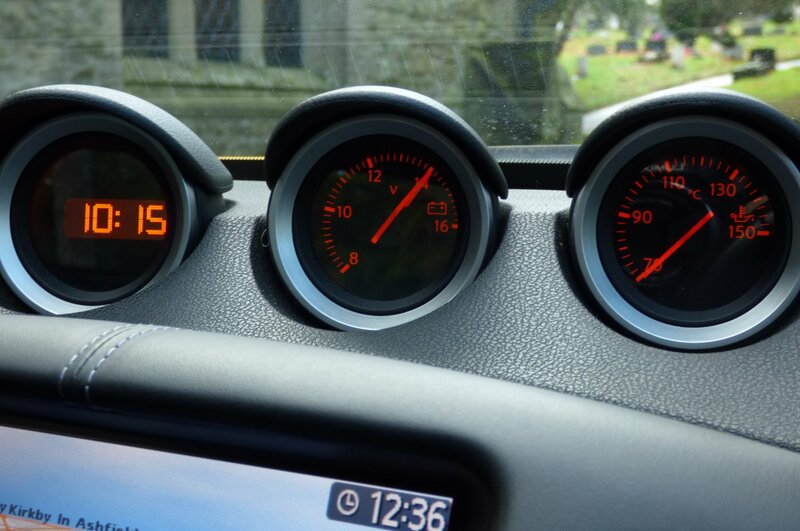 Over The Last Nine Years This Special Example Has Only Had 24781 Miles, Which Roughly Works Out At Just Under 2800 Miles Per Annum, However Regardless Of This Incredible Reading The Car Has Been Maintained To The Highest Of Standards With Past Historical Nissan Service Visits Logged At 9217, 15127 & 21572 Miles And Once Sold Will Have A Further Full Service Completed By Our Fully Trained And Knowledgeable Workshops, Prior To The Next Lucky Keeper Taking Charge Of Their Own Ownership. 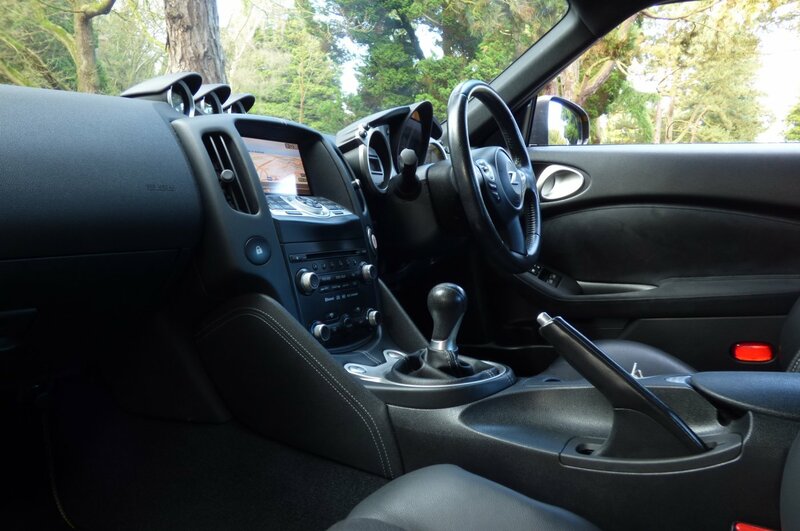 The Vehicle Will Also Be Presented Upon The Successful Completion Of Our Sale With The Entire Booklet Packs, Past Service Invoices, A Fully Functional Key Set And A Fully Cleared Hpi Certificate For That Next Person To Enjoy And Cherish. 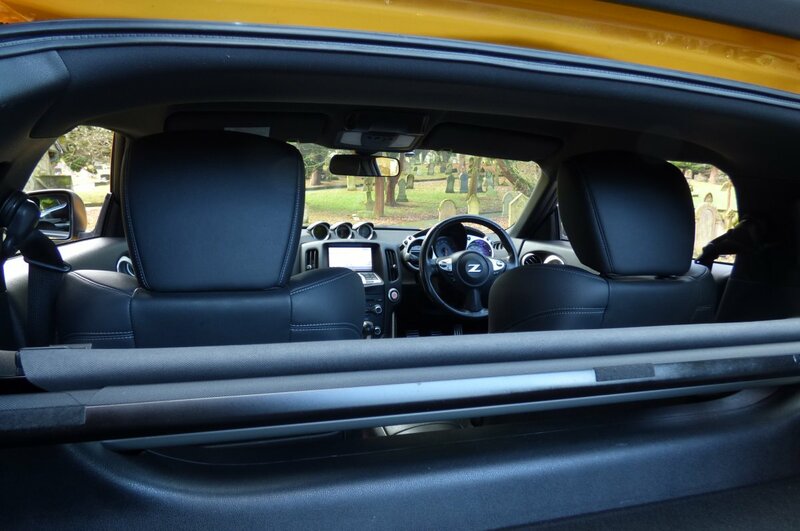 The Internal Cabin Space Offers Function With Perfect Comfort, So No Matter The Distance Both Driver And Passenger Can Enjoy Endless Driving Adventures, Time And Time Again. 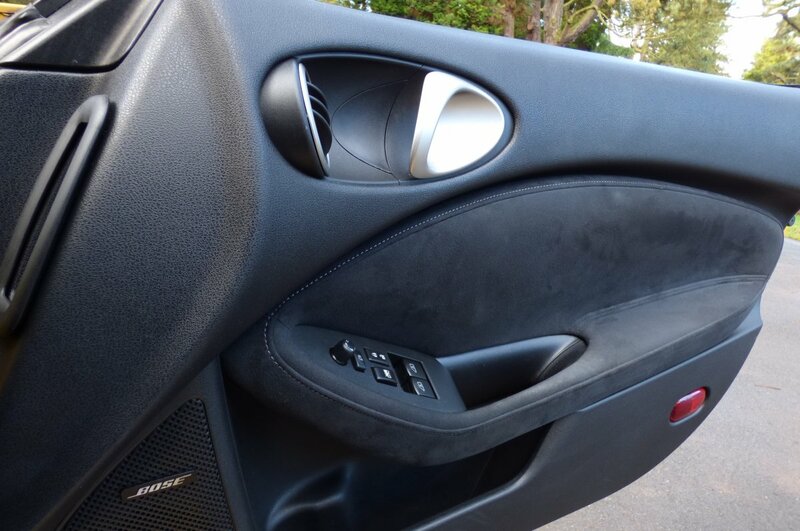 From Factory Build This Limited Edition Was Opted With The Half Leather And Black Suede Sport Seats Beautifully Complemented With Silver Twin Needle Stitch Detail, The Black Dash That Wraps Around This Inviting Environment, Black Fabric Roof Lining, Black Carpets, Black Suede Trimmed Door Cards, The Centred Drivers Information Clocks And Presented With Turned Metal Interior Inlays That Finalise This Dramatic Space. 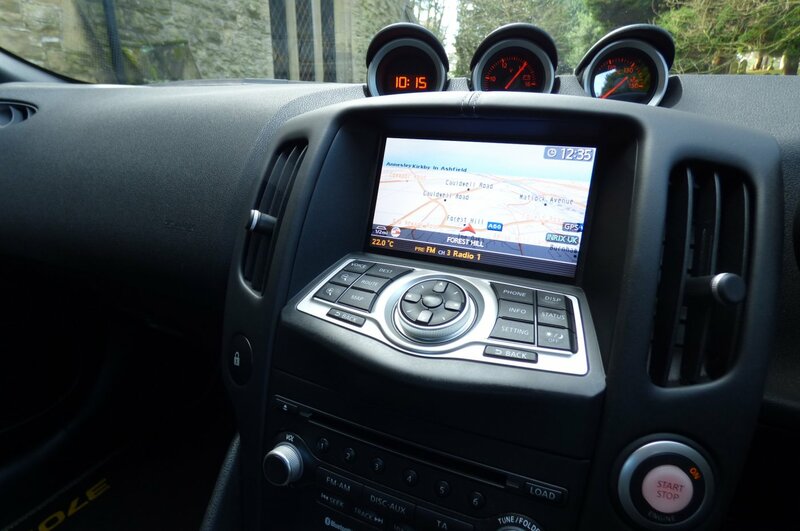 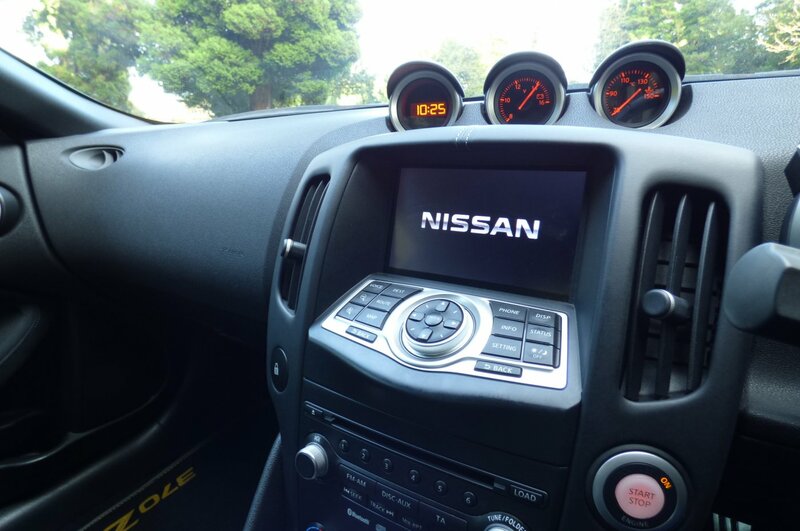 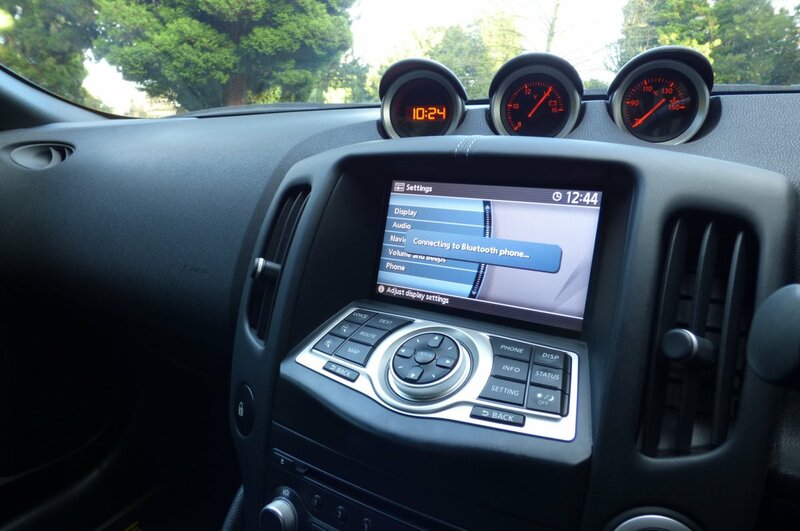 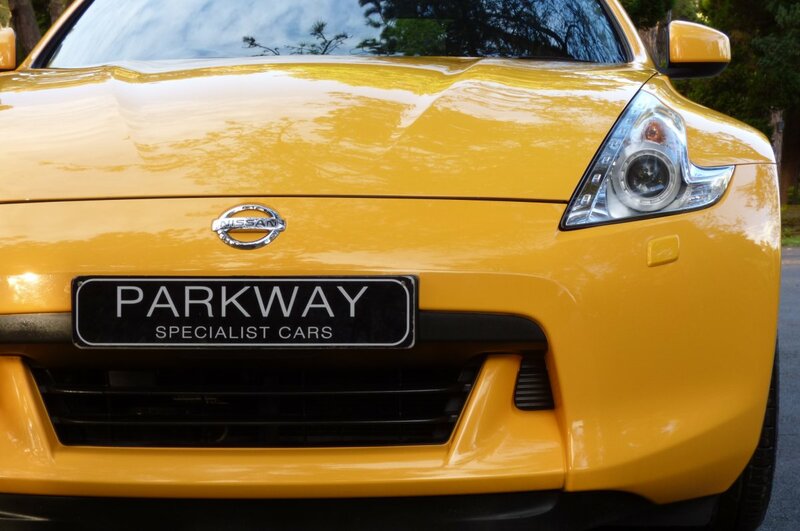 The Vehicle Is Also Packed With World Class Nissan Technology, Meaning That The Daily Commute To The City Or That Planned Weekend Away Is Perfectly Controlled And Highly Enjoyable. 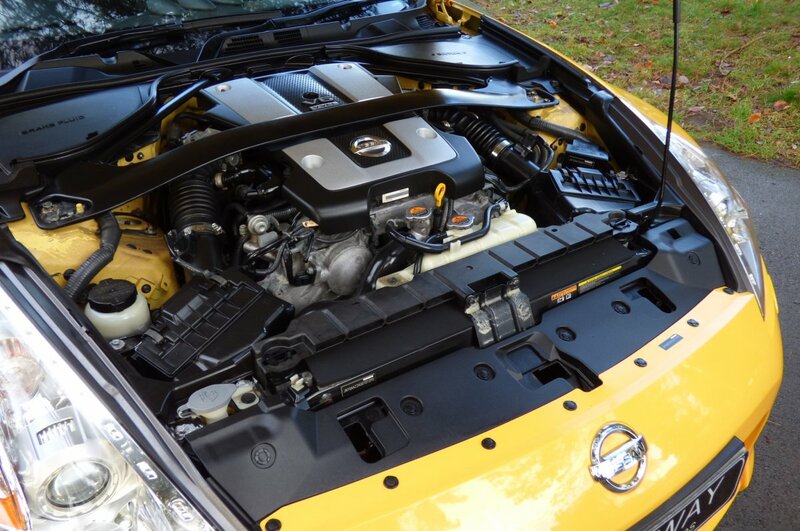 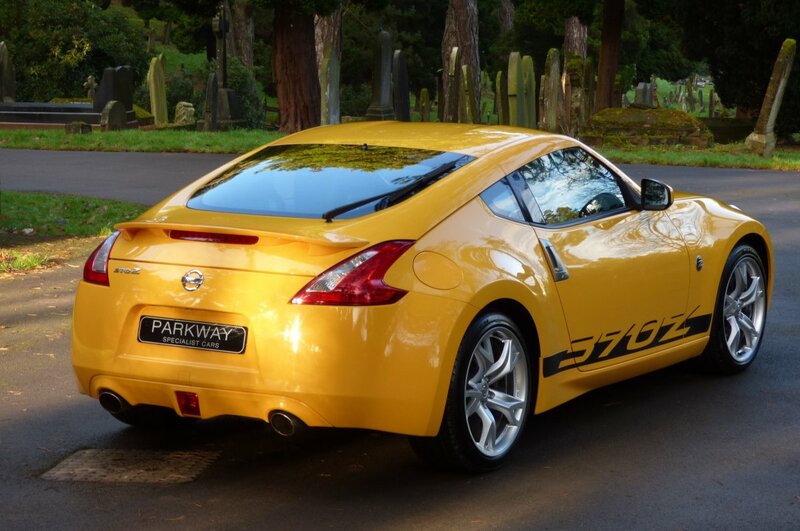 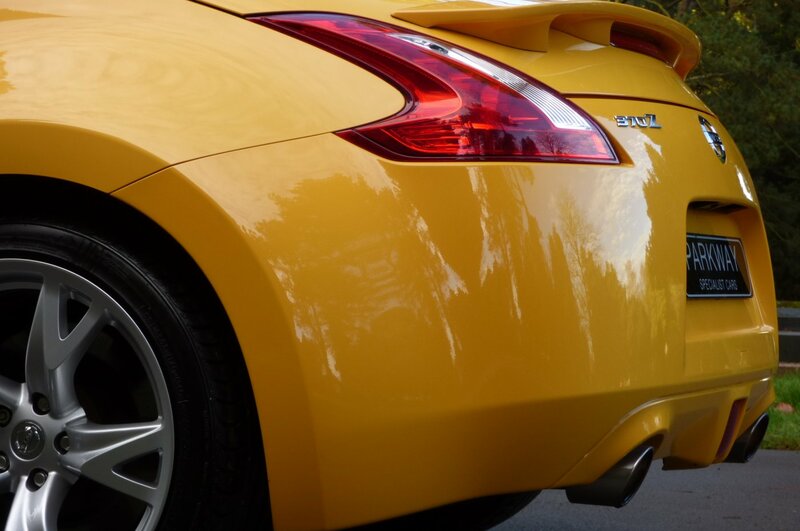 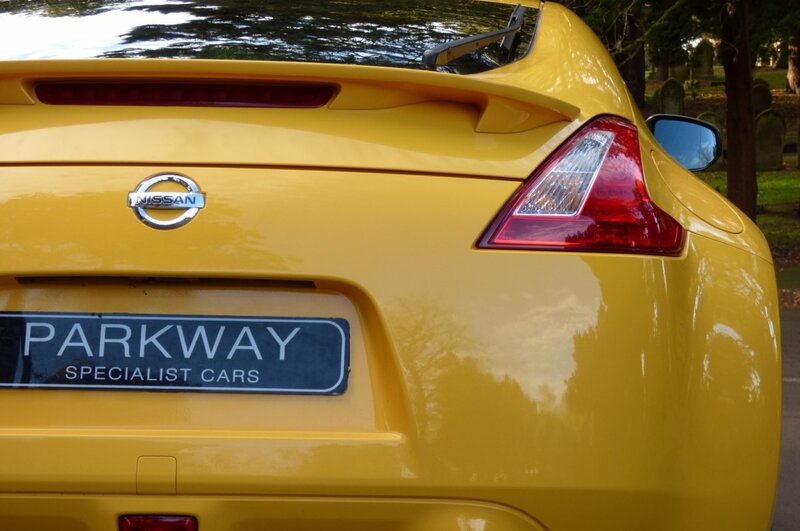 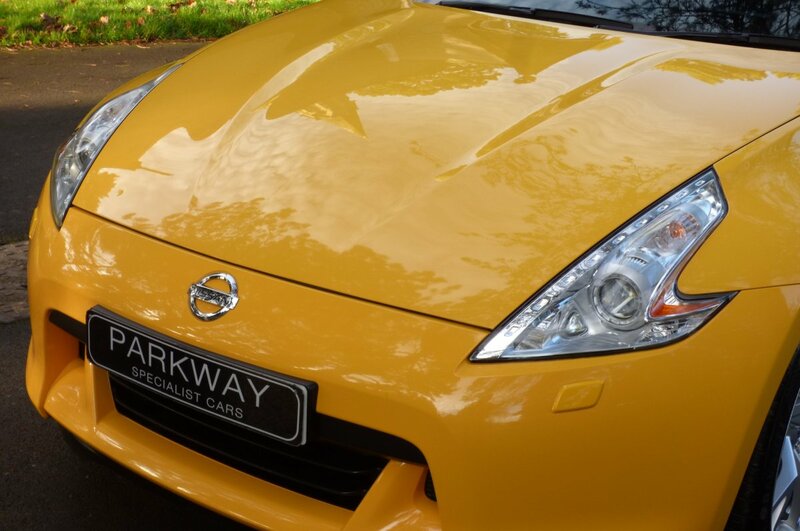 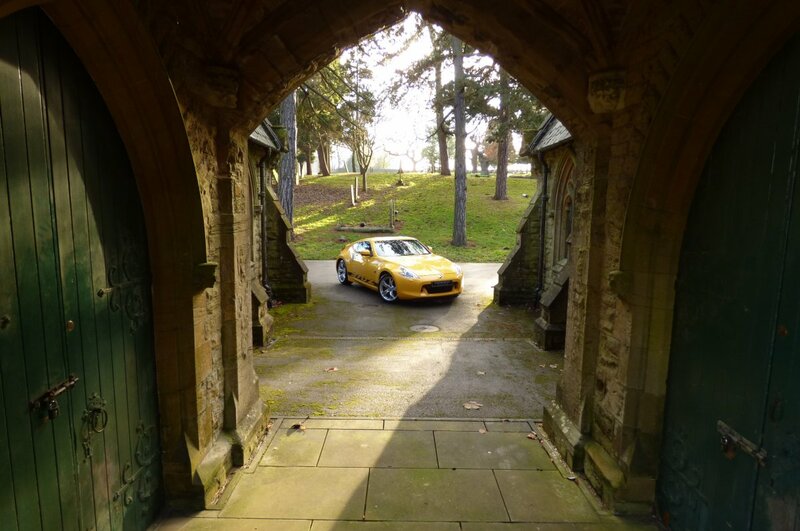 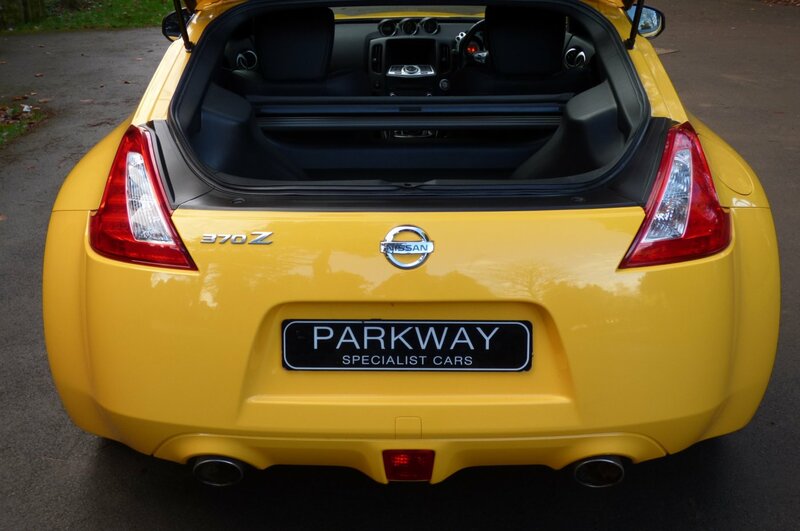 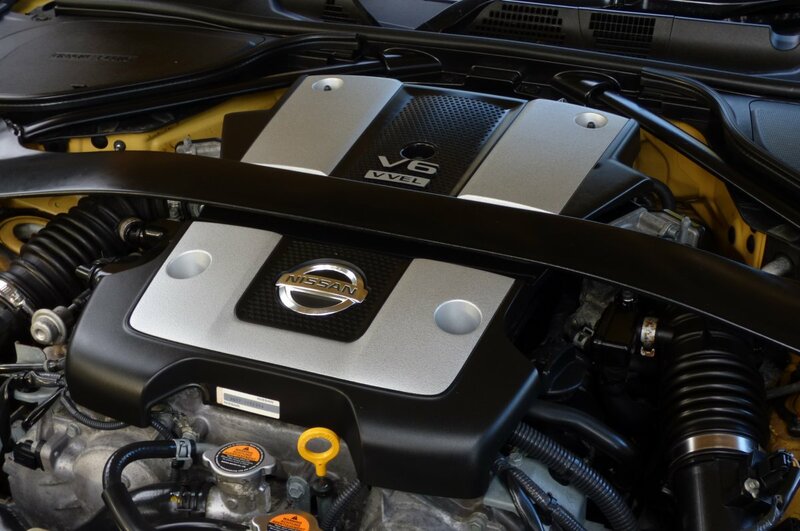 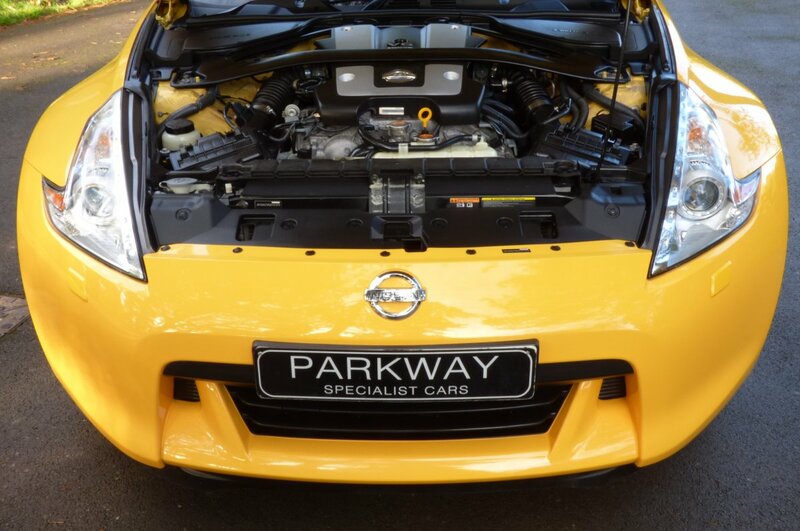 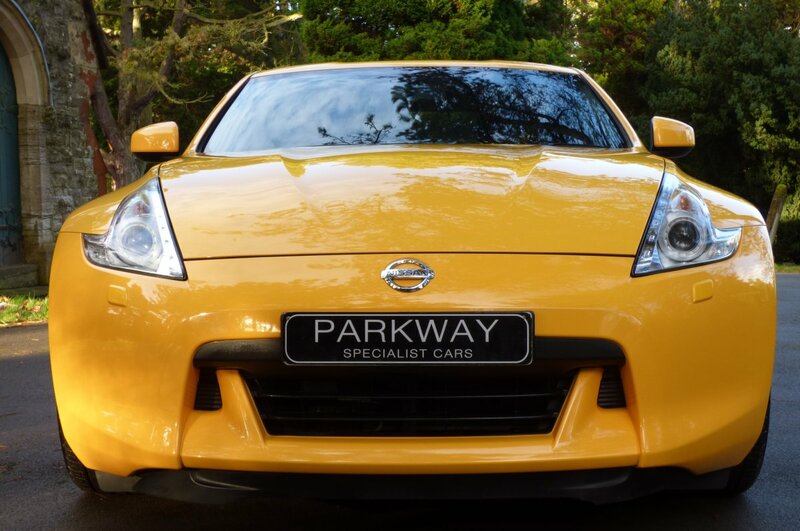 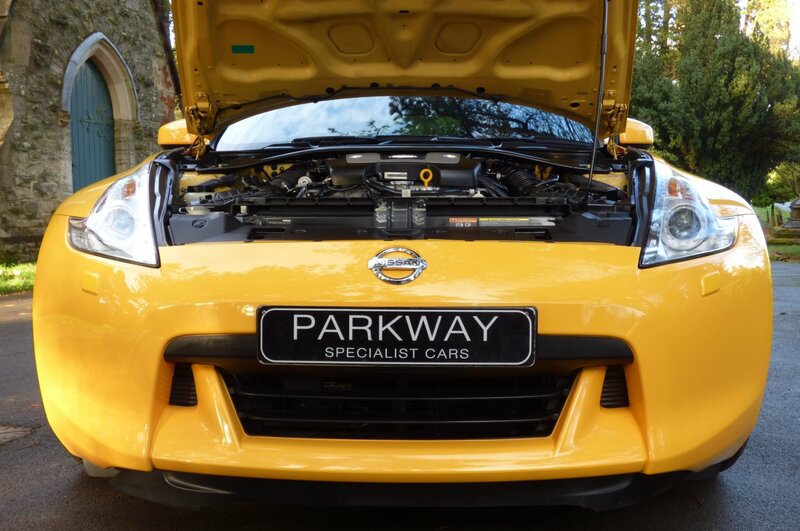 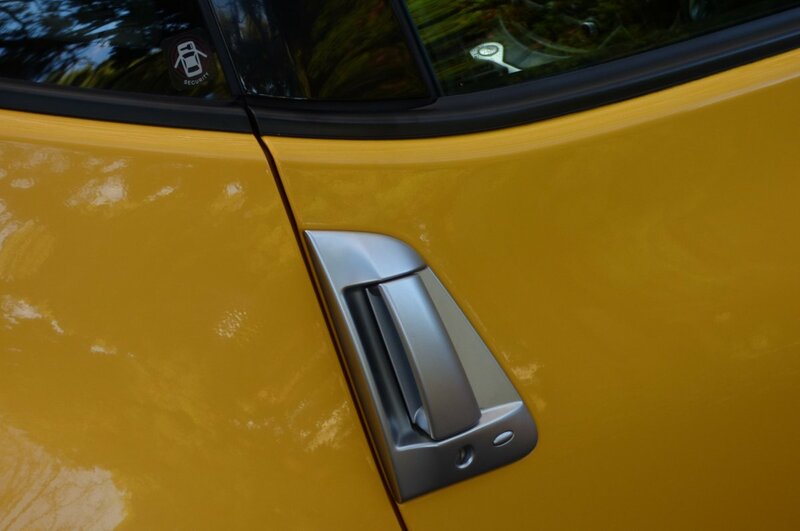 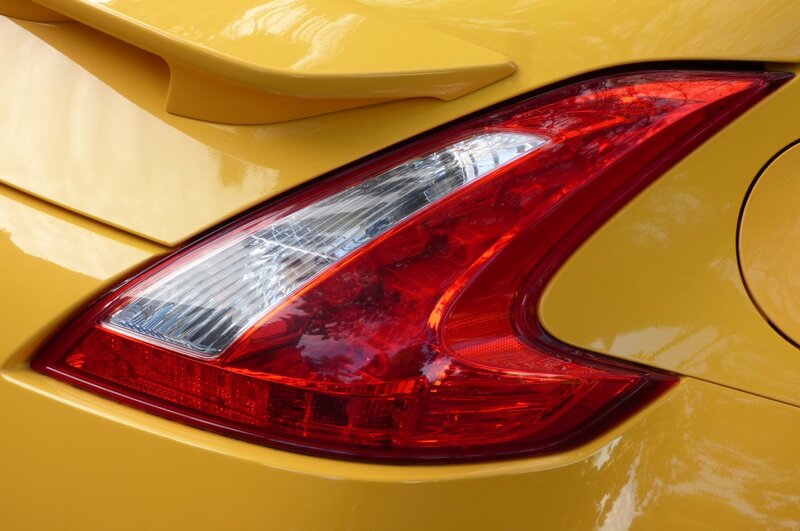 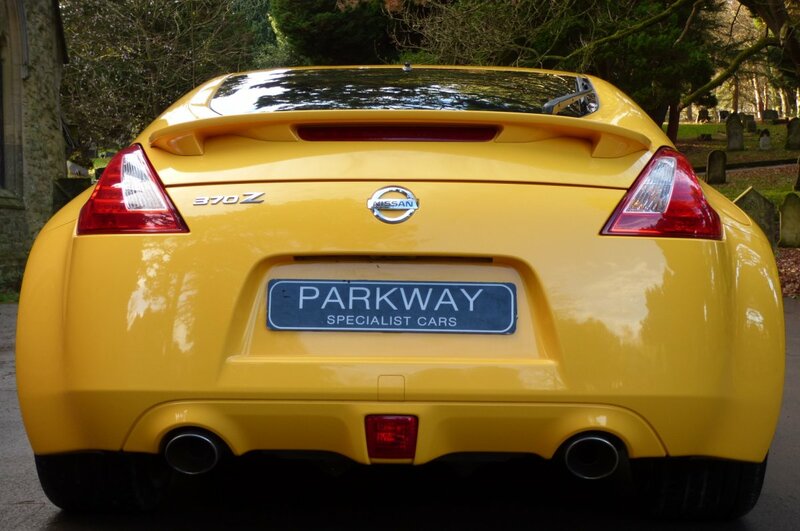 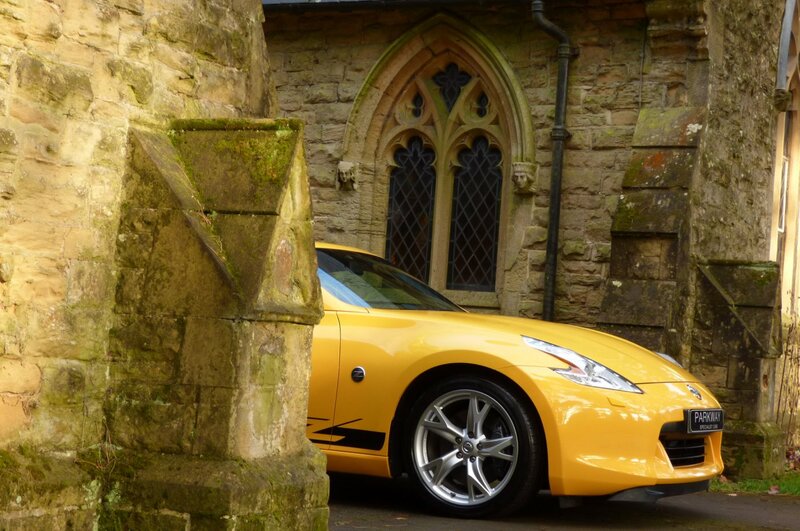 The Sculptured All Aluminium Body Is Presented In The Ultimate Yellow Pearl, Which Perfectly Demonstrates The Aggressive Exterior Z Curves And The Sublime Nissan Lines. 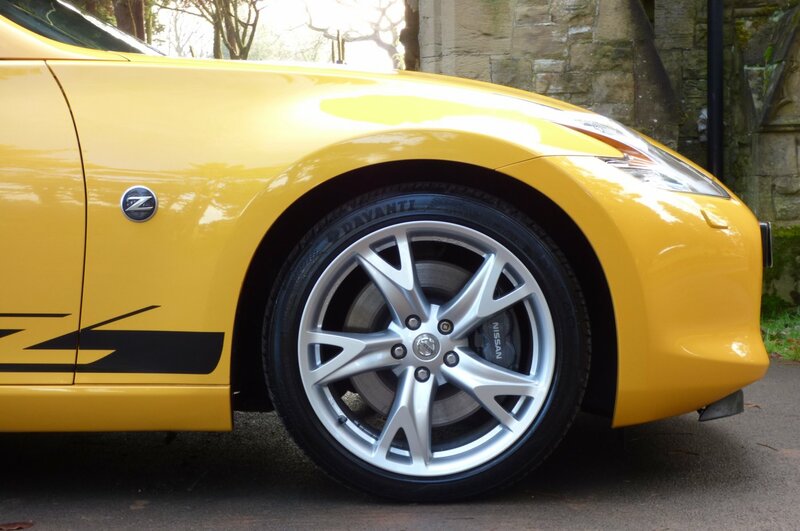 Further Exterior Features Are Presented With The Unmarked Silver Finished 19" Forged Five Arm Rays Alloy Wheels Which All Sit On Branded Tyres, The Dark Grey Nissan Embossed Brake Calipers, The Colour Coded Rear Boot Lip Spoiler, The Blackened Vented Front Grille, The Chromed Side Wing Z Badges, The Chromed Twinned Oval Exhaust Tips, The Gloss Black 370z Side Decals And Decorated With The Infamous Nissan Motifs, That Finish This Spectacular Stance. 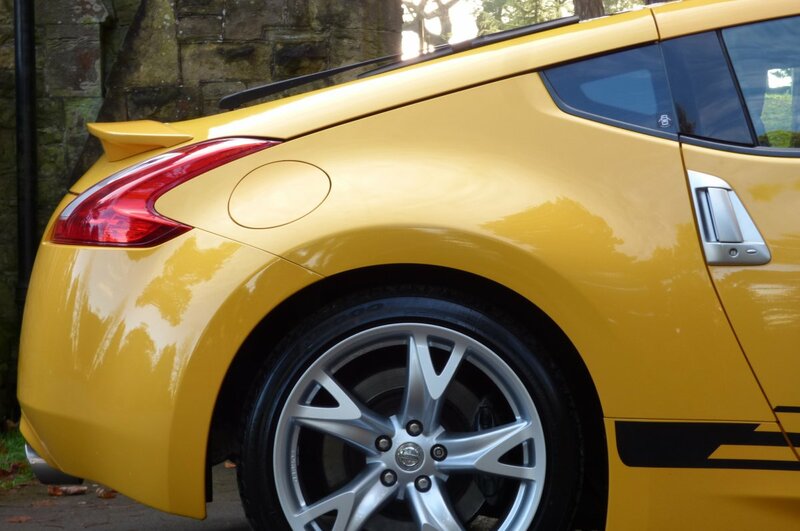 The Car Looks Staggeringly Beautiful From Every Angle And It Is Not Going To Be Surprising When This Shape Ventures Into The Modern Day Classic Status, In Years To Come. 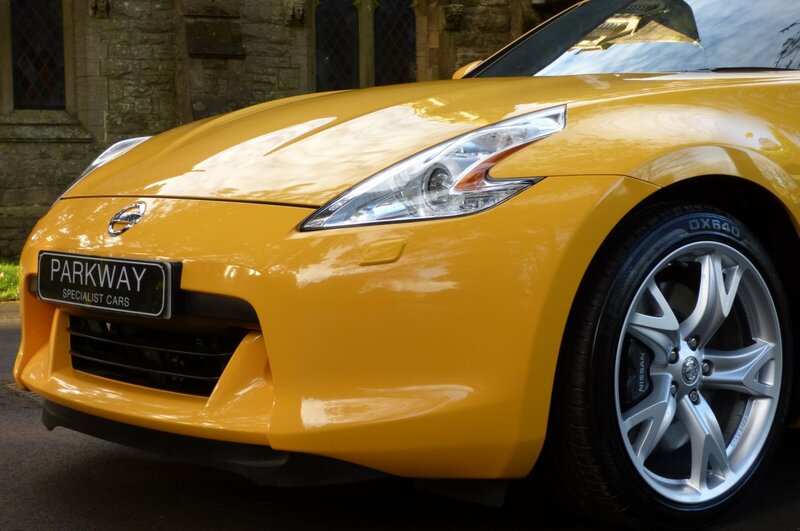 This Lovely Yellow Edition Offers Nissan Options To Include Unmarked Silver Finished 19" Forged Rays Alloy Wheels, The Full Colour Touch Information Screen With Satellite Navigation System, Dual Zone Climate Control, Variable Heated Front Seating, Bose Speaker Sound Package, Cruise Control, The Black Leather Bound Three Spoke Multi Functional Steering Wheel, Xenon Headlights With Power Wash Function, Rain & Light Package, Electric Folding Mirrors, Bluetooth Phone Preparation, In Dash Six Disc CD System, Push Button Start, Embossed Internal Sill Kick Plates, Nissan Metal Pedals, Rear Wash Wiper, Remote Central Locking With Alarm, Chromed Twinned Oval Exhaust Tips, Nissan S Mode, Leather Trimmed Gear Knob And Hand Brake Lever And So Much More. 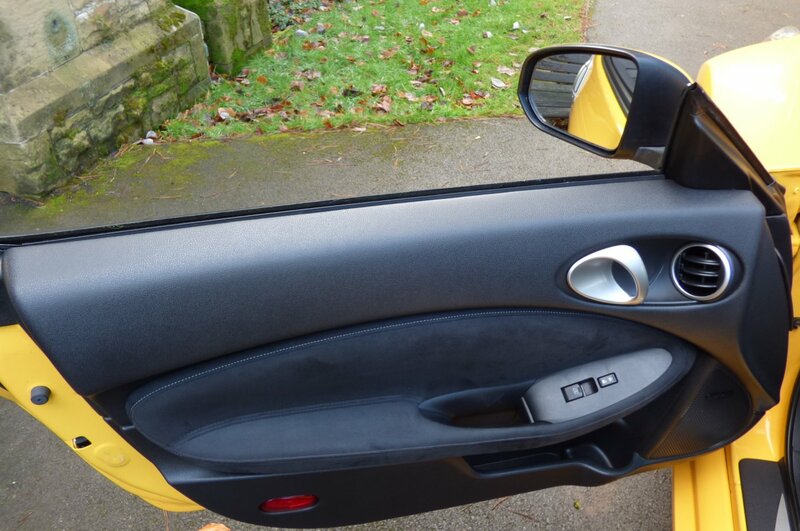 A Great Find Offered With The Entire Booklet Pack Set, A Fully Cleared Hpi Report And A Full Key Set.